In 2015 Exceptional Families Network was invited by A Victorian Country Christmas to host the very first Miss Exceptional. Helping to make our program stronger, A Victorian Country Christmas provides our organization an amazing opportunity to reach out to the community for support by providing us a wonderful fundraiser to enjoy each holiday season! 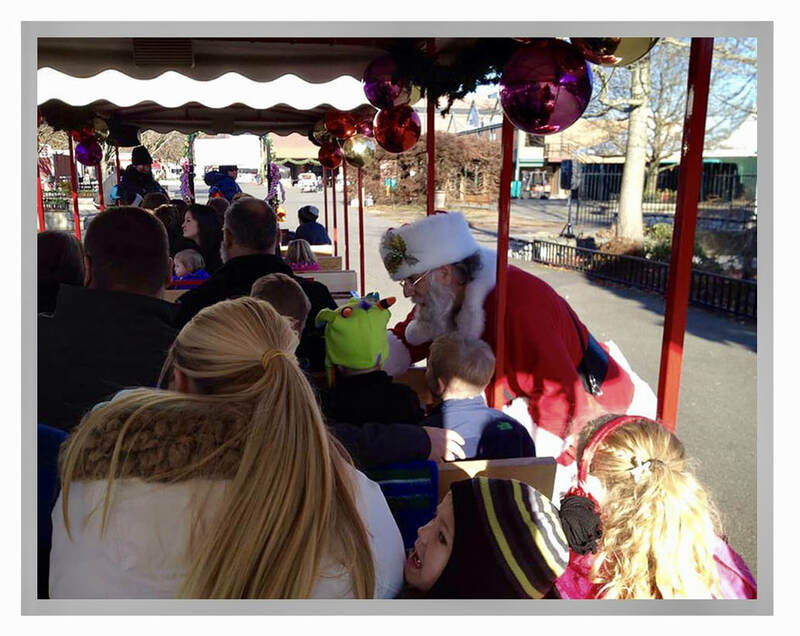 Join us on the Santa Tram! ﻿It’s easy. Just click “Sign up to Drive” and you can use our easy scheduling tool to find a shift that will work for you! Driving the tractor is simple and the drivers will be shown everything they need to know at the beginning of their first shift! All driver's shifts overlap by 30 minutes to give the relief driver an opportunity to see each stop they will make while transporting their happy shoppers! Drivers must be over 18 years of age with a valid Washington State Drivers License. Drivers will be responsible for driving a full size tractor pulling a double trailer at appropriate speeds and stopping at each Tram Stop. You are welcome to sign up for as many shifts as you can! Driving the tram is a fun, lively experience with lots of holiday cheer! ​Come join us at A Victorian Country Christmas! We need lots of volunteers* to help our shoppers on and off the Tram and to collect donations at the Tram and during the Singing Nativity show! Assistants will be responsible for helping keep our donations secure, our patrons safe, and our lively Christmas Music playing! Becoming an Assistant is easy! Just click the "Sign Up to Assist" button below and use our easy scheduling tool to sign up for as many shifts as you can! Assistants under the age of 14 must be accompanied by an adult volunteer. *These hours can be used to fulfill your Senior requirement. Documentation can be provided upon request.